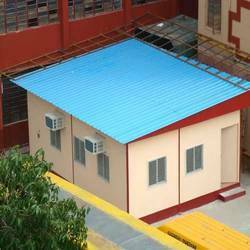 Leading Manufacturer of office accommodation camp, office staff accommodation camp, prefab accommodation, site accommodation structure for engineering quarter, industrial prefabricated site offices and housing for bachelor accommodation from Jaipur. Catering to the variegated demands of the customers, bring brought forth a quality tested range of Office Staff Accommodation Camp. These offices are designed and developed by the experts as per the latest trends of the market by using sophisticated technology. Owing to their robust construction, durability, attractive designing and proper ventilation, our offered site offices are widely demanded in the industry. We customize our range as per the exact requirements of the clients in cost-effective manner. Catering to the variegated demands of the customers, bring brought forth a quality tested the range of Office Staff Accommodation Camp. These offices aredesigned and developed by the experts as per the latest trends of the market by using sophisticated technology. 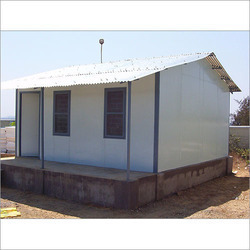 Owing to their robust construction, durability, attractive designing and proper ventilation, our offered site offices are widely demanded in the industry. 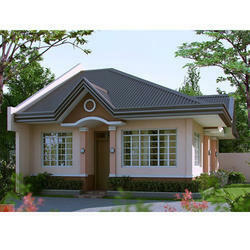 We customize our range as per the exact requirements of the clients in a cost-effective manner. 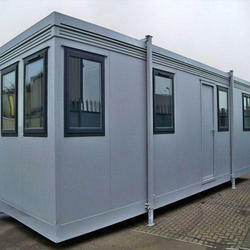 Catering to the variegated demands of the customers, bringwe broughtforth a quality tested range of Prefab Accommodation . These offices are designed and developed by the experts as per the latest trends of the market by using sophisticated technology. Owing to their robust construction, durability, attractive designing and proper ventilation, our offered site offices are widely demanded in the industry. We customize our range as per the exact requirements of the clients in cost-effective manner. 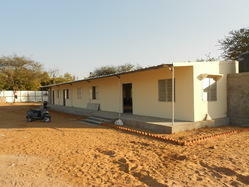 We take immense pride in providing the customers with optimum quality Site Accommodation Structures. Our experts have fabricated this range by using latest engineering technology and best grade raw material as per the specifications mentioned by the customers. Owing to their high capacity, proper ventilation, modular designing and longer service life, these site accommodation structures have gained wide acceptance in the market. 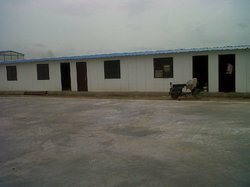 We are a leading manufacturer and supplier of Industrial Prefabricated Site Offices. Catering to the variegated requirements of the customers, we have brought forth a remarkable range of Housing For Bachelor Accommodation. We have fabricated this range from the best quality factor inputs and latest technology highly in conformance with the set industrial guidelines. 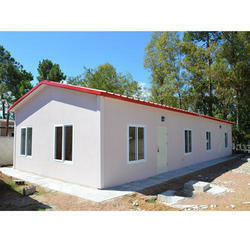 These low-cost housings provide a cost effective solution to the variegated housing requirements of the patrons. Owing to their high resistance against weather, termite and water and longer service life, these products are highly demanded in the market. Color: Graywhite, blue, red, etc..
We have with us an impeccable spectrum of Staff Accommodations structure which is fabricated in accordance with the prevailing trends of the market. Owing to their high capacity, proper ventilation, modular designing and longer service life, these structures have gained wide prominence in the market. These staff accommodations can be availed from us in desired sizes, dimensions and shapes at market leading prices. We have with us an impeccable spectrum of Bachelor Accommodations structure which is fabricated in accordance with the prevailing trends of the market. Owing to their high capacity, proper ventilation, modular designing and longer service life, these structures have gained wide prominence in the market. These staff accommodations can be availed from us in desired sizes, dimensions and shapes at market leading prices.